Tabloid reporters Jack Harrison (Jeff Goldblum) and Gil Turner (Ed Begley, Jr.) are sent to Transylvania with two choices: find the Frankenstein monster or find new jobs. But before the jumpy journalists can dig up their big story, they must first face the horrors of an extremely clumsy butler (Michael Richards), a nymphomaniac vampire (Geena Davis) and semi-mad doctor (Joseph Bologna), as well as assorted mummies, werewolves and more Transylvanian oddballs. Can these two bumbling heroes unravel this monstrous mystery or are they in for some very scary surprises? This is a movie I have not seen in a very long time. Not since I first bought the DVD (5 years ago). While this movie has a few laughs in it... I have seen better. It was fun seeing Geena Davis in this somewhat early role. And I must admit she looked great in the vampire costume! Unfortunately I just didn't find the most of what they did very funny at all. But as I said... it does have a few good laughs... and some pretty good stars. It is worth a watch every now and then. 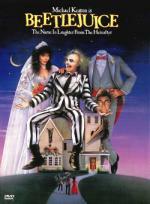 After watching Geena Davis in Transylvania 6-5000 I decided to watch the other Comedy-Horror movie she did. I always found this to be a fun movie. And I enjoyed Geena Davis in this one quite a bit. Even though I normally don't care for her... I also enjoyed the performance by Winona Wyder. This is the original release of the movie. I would love to be able to get the upgrade to the new special edition that was recently released. Note to Jimmy: I already reviewed this movie here. Since my opinion has not changed at all no need to add this one to the review list. Bruce Campbell (the Evil Dead trilogy) "gives his greatest and most entertaining performance to date" (Premiere) as an aging and cantankerous "Elvis" in this "zinger-filled crowd-pleaser" (The Hollywood Reporter) from writer-director Don Coscarelli (Phantasm)! When mysterious deaths plague a Texas retirement home, it's up to its most sequined senior citizen to take on a 3,000-year-old Egyptian mummy with a penchant for cowboy boots, bathroom graffiti and sucking the souls from the barely living! Bruce Campbell as an elderly Elvis? That alone is worth the watch... at least once. But what do I think of this movie? Hmmmm... I actually have mixed feelings on the actual content of the movie. The horror aspects is pretty cool. As for the comedy aspects... while there is some decent laughs most the comedy in this movie is very juvenile. But it works for what it is. Even with that said... I enjoyed this movie... more then what I probably should. I just found it to be a lot of fun. I got my copy of Beetlejuice like 2 weeks before the new special edition came out. I was a bit irked about that. I may break down and get the other version at some point. The same thing happened when I got L.A. Confidential last year. I know I'm going to get the special edition of that one though. 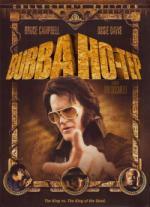 I almost rented Bubba Ho-Tep back not long after it came out. I read a lot of good reviews on it. This hilarious, must-see comedy smash places Carmen Electra (TV's Baywatch), Marlon Wayans (Senseless), Jon Abrahams (Boiler Room, The Faculty) and some of today's hottest young stars in a wickedly funny send-up of today's most popular horror movies! A familiar-looking group of teenagers find themselves being stalked by more-than-vaguely recognizable masked killer! As the victims begin to pile on, none of your favorite scary movies escape the razor-sharp satire of this outrageously funny parody! With Shannon Elisabeth, Shawn Wayans and Cheri Oteri adding sidesplitting performances, there's nothing to fear in this scary movie...unless you're afraid of laughing too much! I can't have a Comedy-Horror marathon and not watch Scary Movie! This movie mostly spoofs the movie Scream... but also spoofs some others such as I Know What You Did Last Summer, Blair Witch Project and The Sixth Sense. It even throws in a little from non-horror movies such as The Matrix. I think this is a good movie for what it is. A movie to make fun of other movies. It has some decent jokes... of course some of them are rather juvenile and sick... but it is what it is and worth checking out if you like movie spoofs. I know a lot of people that prefer the TV Series to this movie... and I agree... I do enjoy the series more... but I do still enjoy the movie as well. I find myself coming back to it multiple times. But I have no idea why I enjoy watching this movie as much as I do. It isn't particularly that funny... but all the same I still really get a kick out of it. Note to Jimmy: I already have this movie reviewed on the site... my opinion hasn't changed so no need to add it to the list again. When her great aunt dies,famed horror hostess Elvira® heads for the uptight New England townof Falwell to claim her inheritance of a haunted house, a witch's cookbook and a punkrock poodle. But once the stuffy locals get an eyeful of the scream queen's ample assets, all hell busts out and breaks loose. Can the Madonna Of The Macabre find love with a studly cinema owner, avoid her creepy Great Uncle, titillate the town's teens and become a Las Vegas dance sensation all without being burned alive at the stake? I couldn't end my Comedy-Horror marathon without getting myself a taste of Elvira! OK... what do you get out of an Elvira movie? When you think of Elvira you think cheap, cheesy and a slutty... so I ask you... what more do you need then that? This is of course nothing more then cheap, leave your brain at the door entertainment. Something to get lost in for an hour and a half. When you go into an Elvira movie the last thing you expect to find is an Oscar winner. So I think if you go into this movie expecting nothing more then cheap, cheesy and slutty you will most likely enjoy yourself. There is a few laugh in this one... but little more then that. Unless you include bad acting and silly situations... but that is all a part of what makes Elvira.